Build connection with key audiences. 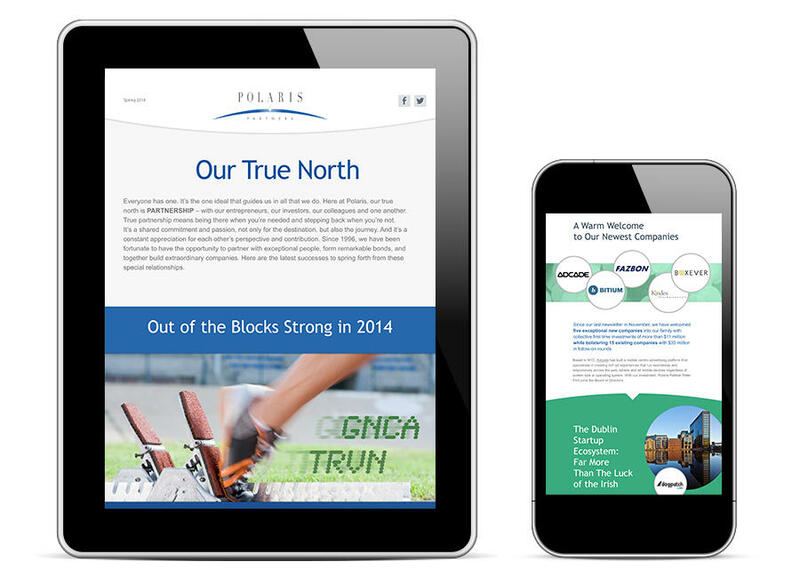 Designed to stimulate engagement with its audience, the Polaris e-newsletter delivers salient information and insight regarding the latest developments at this cutting-edge technology and healthcare-focused venture firm using a tried and true e-marketing platform. The content for each edition is driven by a new overarching theme and supported by a unique, visually compelling creative design. 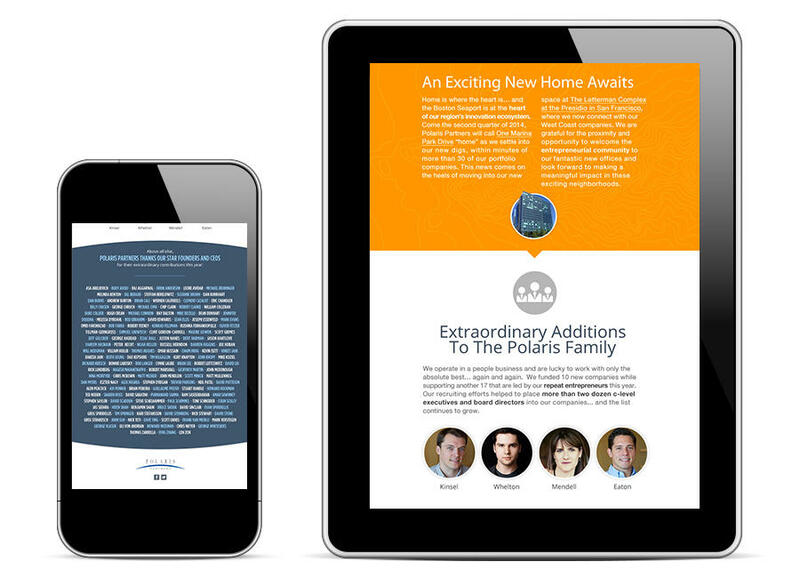 Integrated harmoniously with the Polaris brand, the newsletter also expands the creative personality of a firm built on innovative thinking and a visionary outlook.